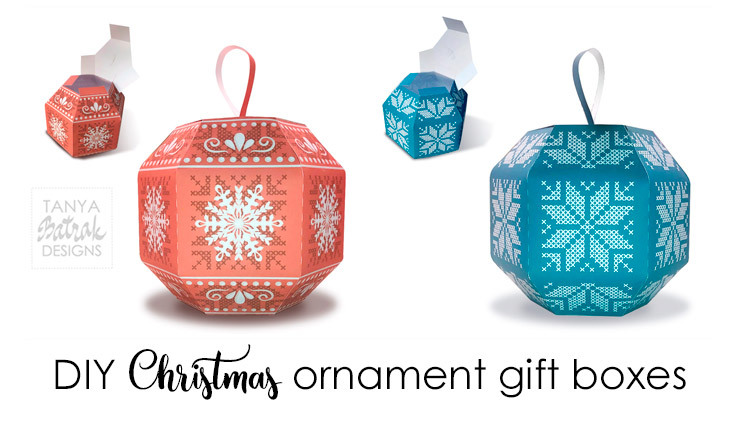 These Christmas ornament boxes is perfect for small presents. 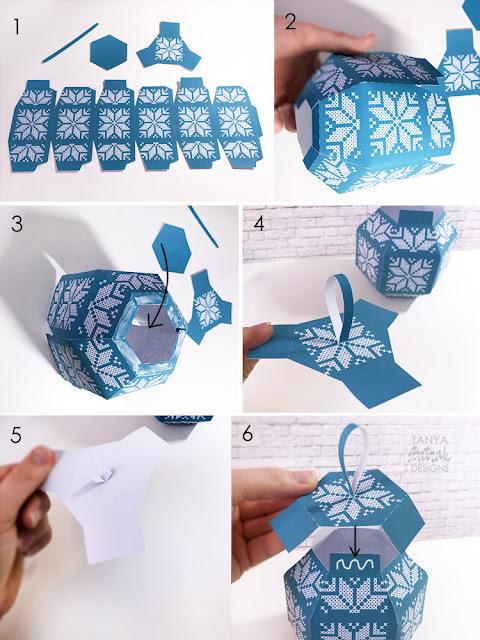 You can also use them as boxes for an Advent calendar by hanging them on a Christmas tree or a ribbon. Portrait and CAMEO compatible. Height approx. 4.3 inches (14 cm). If you need you can use only the cut line to cut out the box from the patterned paper you want. 1. Cut out all pieces. Fold on the score lines. Adhere the two base pieces together. Then fold the pieces over to adhere the remaining tab in place. Pop the base up to form its shape. 2. Place adhesive along each tab and form the box. 3. Adhere the bottom pentagon. 4. Insert the paper stripe into the slot on the box lid. 6. Adhere the lit to the box.